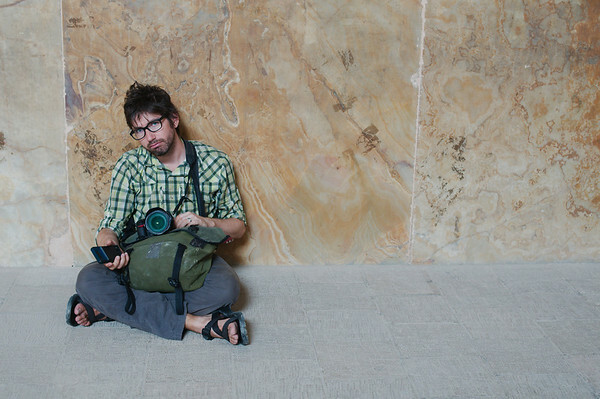 We stayed four days in Tehran trying to sort out onward travel plans. Our arrival in Tehran coincided with the U.S. push to engage in war with Syria and subsequent opposition from Russia and Iran. We monitored the news as much as possible, hoping that a U.S. invasion was not inevitable. We already had doubts in our hearts about our desire to continue onwards through Central Asia and along with our paranoia about full-blown war in the region we decided that we would fly out of Tehran. Getting the elusive 90-day Chinese visa (or even a 30-day visa) seemed to be next to impossible, so we knew that we would have to break our journey with a flight from Kyrgyzstan. We decided we didn't want to ride in the desert anymore, it was way too hard on our morale. For whatever reason we were pretty down on cycling and we needed a change of scenery and/or climate. We booked a flight from Tehran to Hong Kong, the only place (other than Canada) where we thought we could get the Chinese visa we were looking for. This left us a little bit more than a week to see as much of Iran as possible. 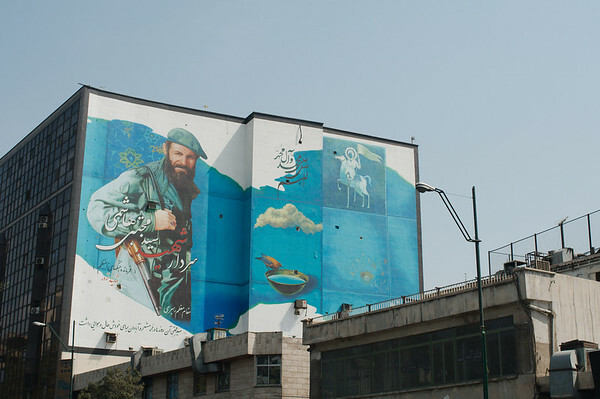 Tehran is not exactly packed with tourist attractions. But the southern bazaar district, where we were staying, was busy and bustling and actually lots of fun to explore. 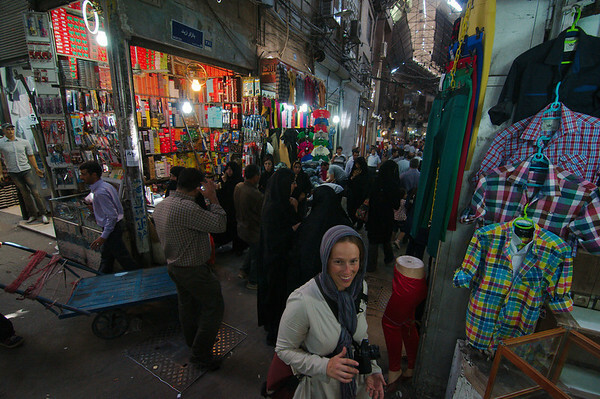 Like in Tabriz, the bazaar was active and uninterested in catering to foreign tourists. Except for the carpet merchants, who were just waiting to take our money (and did). 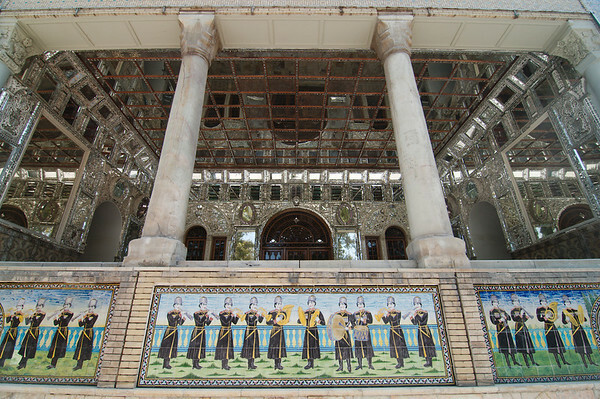 We checked out Golestan Palace complex, this year added to the UNESCO World Heritage List. Honestly it is a really weird sight, although 400 years old, much of the complex was reconstructed in the 1950s, on the orders of Reza Shah, who evidently had terrible taste. After our four days in Tehran, we boarded a train to the desert city of Yazd where we checked into our nicest (and by no means the most expensive) accommodation in Iran, the Silk Road Hotel. Housed in an old building centred around a huge courtyard in the city's historic district, it has plenty of lounging areas, a beautifully decorated air-conditioned room and a kitchen serving delicious local dishes. What a treat! Old Yazd basically shuts down for the hottest part of the day (10-4pm! ), things slowly start moving in the evening, but the pace of life seemed to be far from that of frenzied Tehran. The architecture of the old city is completely adapted to desert life and is ingenious, especially the wind catchers that naturally cool and ventilate the homes. We explored the alleys of Old Yazd in a few hours, rarely meeting any other tourists, despite the city's popularity. 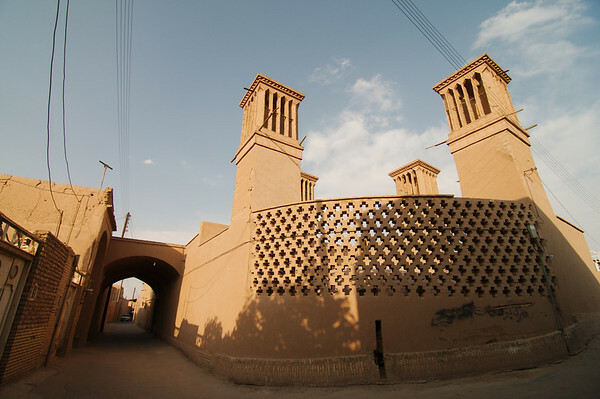 For our second day in Yazd we decided to join the popular tour to nearby desert villages. 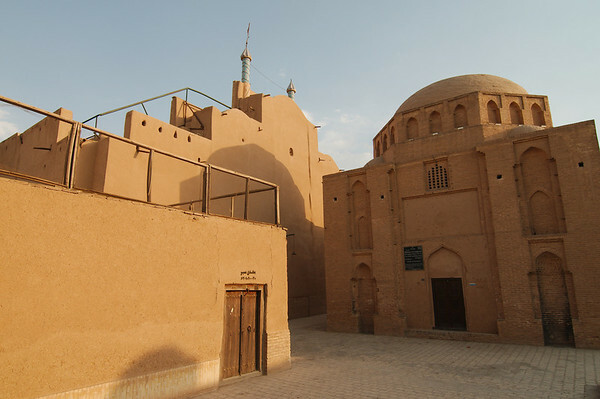 The tour brought us first to the village of Karanaq, sight of an abandoned palace complex, then to Chak Chak, one of Zoroastrianism's most important pilgrimage sights, then to the desert city of Meybod, home to an ancient citadel and caravansarai. The most impressive of the three sights was Karanaq, which just seems to sit beautifully untouched and undeveloped in the middle of the desert (apparently the villagers believe the complex to be haunted). Chak Chak is nothing more than a small cave temple in the middle of nowhere, interesting only because of its cultural and religious significance (and its isolation) but not because of any particularly attractiveness. 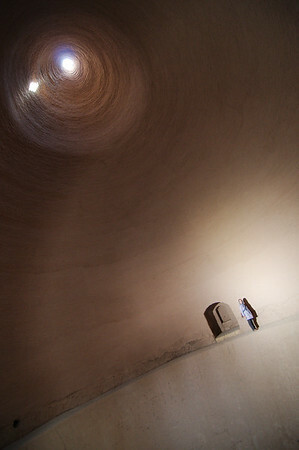 Meybod's sights were also worthwhile, in particular the massive ancient refrigerator. Although we try to avoid package tours, getting to these three sights in the same day would have proven near impossible with public transportation. We ended up with great travel companions and an enthusiastic guide who spoke perfect English so we were very pleased. 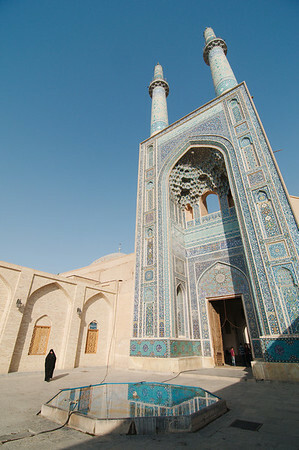 From Yazd we bused to Esfahan, probably Iran's most visited city. 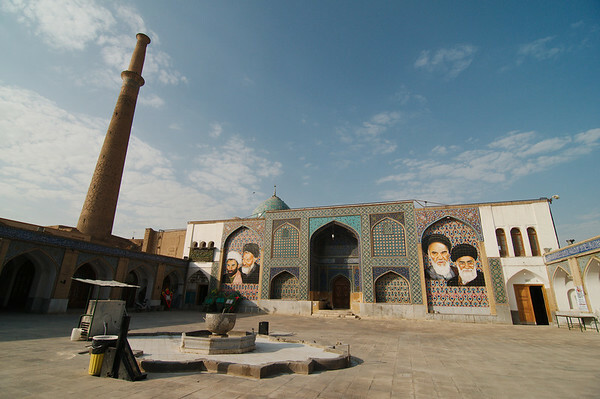 It is the former capital of the Persian Empire and home to the country's largest concentration of historic buildings: palaces, mosques, medressas, cathedrals, covered bridges. The list of things to do in the city is intimidating. 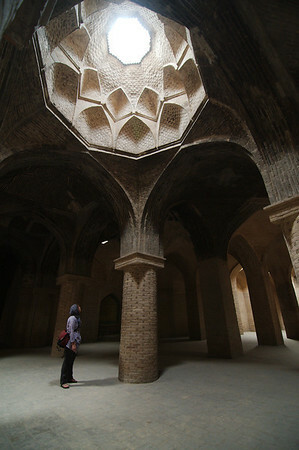 Truthfully, Esfahan was a pretty big disappointment for us. 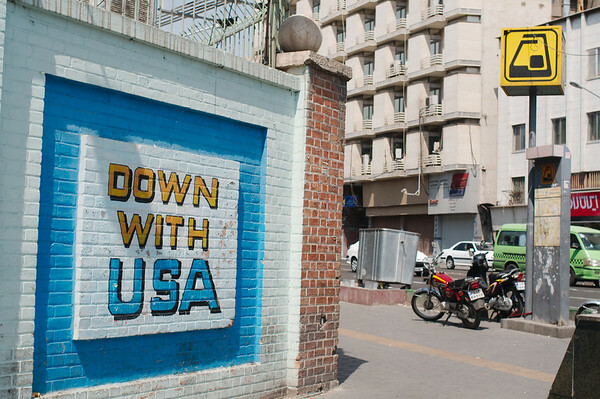 It was the only place in Iran where we felt we were being ripped off. The taxis were overpriced, the hotel where we had a reservation had no room for us unless we took a triple room and paid for the extra bed, we were constantly being approached by “friendly” locals who were actually trying to bring us to their shop (but it was Iran after all, our bus fares were paid twice by strangers, as well as our dinner one evening, so we shouldn't get too complainy!). The sights themselves were also a let-down, in particular the Imam Mosque, it is reputed to have some of the most exquisite tile-work in Iran, but we couldn't tell you. The entire courtyard of the mosque was covered with canvas awnings blocking the best views of the mosque. There was absolutely no attempt to showcase the monument that hundreds of tourists were streaming in to see (and paying admission for). The covered bridges were lovely, but with no water in the river were a little bit less spectacular than they could have been. We could see the potential though. Our whole visit of the city seemed like we were just checking items of a list of things-to-see without really having any desire to do the seeing. We were probably just too tired to get into it. To end our Esfahan joys, we booked bus tickets back to Tehran, making sure to ask that we were not in the last seats, only to be ushered into the last seats. The compromise was to give us the second last seats.